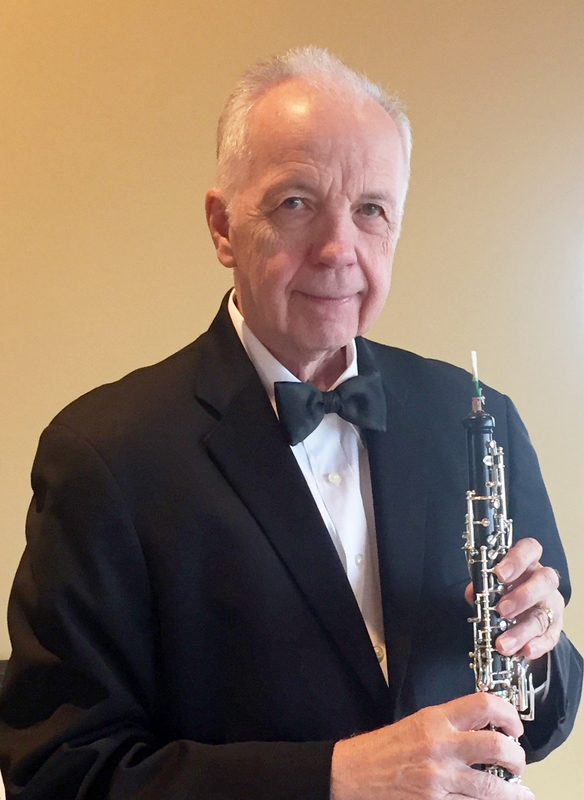 Bruce started oboe studies with Salvatore Spano in September 1954, after having spent two weeks with the Trapp Family Singers the previous summer. He moved with his family from West L.A. to Ojai in 1956 and joined the fledgling Ventura County Student Symphony, attended ISOMATA in the summer of 1957 and in 1958 spent the summer at Kinhaven in Vermont, where he studied with Amanda Dushkin and developed a love for chamber music. Following recovery from a mouth injury and military service, in 1965 Bruce re-started oboe studies with William Criss and joined the Long Beach State College orchestra directed by Henri Temianka, where he was privileged to play under guest conductors Aaron Copland, Roy Harris and Hans Lampl. While in military service, Bruce played with the San Luis Obispo Symphony and was invited by Frank Salazar to participate as third oboe in the inaugural concert of Ventura County Symphony. Bruce joined the VCS as English horn in 1966, became principal oboe and married violist Delores in 1967, and continued as principal until the orchestra’s demise in 1995. He served as English horn with Santa Barbara Symphony from 1978 to 1999 and as oboe/English horn with Santa Maria Philharmonic from 2001-2012. Bruce and Delores are founding members of CHICO. Bruce has been privileged to perform concertos by Donizetti, Barber, Biggs and Bach with CHICO, and is grateful for the opportunity to play the “Bach Double” with Dr. Chang. In Dr. Walker’s “other life” he received M.S. in physics and Ph.D. in engineering from UCLA, is a consultant and researcher in acoustics, and has worked with NASA, Rocketdyne and others on active control of aircraft engine noise, Space Shuttle return to flight and other acoustical issues, and with the wind turbine industry on noise reduction, infra-sound emission assessment and ultrasonic bat repellent development. With a bad reed, my oboe could be a beastly instrument honking and squeaking as if it had a mind of its own. When my reeds were working, though, I learned that making a sound spoke my emotions more directly than my own voice.